WIN BIG with new slot games! Welcome to Royal Charm Slots! Bringing you fun, free slot machine games. Enter a magical world of games, gold and glory! Play NEW SLOTS with a HUGE COIN WELCOME BONUS !! Join Jessie the Jester and her cast of characters as you explore all our brand new slots game, with fun journey maps to explore and of course, BIG WINS!!! INCREDIBLE online casino games for free, with tons of casino bonuses! 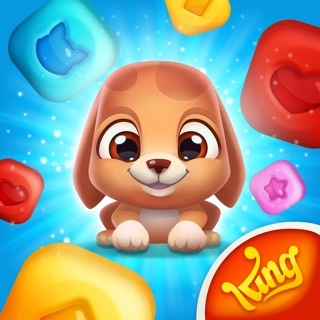 Join fun with NEW characters, lights, sounds & winning action! Royal Charm Slots means BIG WINS, NEW encounters and daily events!!!! • HUGE WELCOME BONUS to get you started! • A Royal world of fast paced fun! • Explore new journey maps! • Earn bonus boosters and collectibles! • Play games, activate challenges and measure up against your friends! • NEW games coming soon! With awesome graphics, intense slots action, and a Royal world to explore, you can bet, spin & WIN with all your favorite free online slots! Play slots online for fun with Royal Charm Slots! Royal Charm Slots is completely free to play but some optional in-game items will require payment. You must be 18 or over to play. This game is intended for an adult audience and does not offer real money gambling or an opportunity to win real money or prizes. Practice or success at social gaming does not imply future success at real money gambling. - An upgrade to your gems. - A BRAND NEW Slots Game. - Various bug fixes to improve your gaming experience. © King.com Limited 2017. All rights reserved.